Whatever you’re looking for, we’ll help you to find your perfect match! [email protected] dating is the leading dating site in Russia. Millions of users, both guys and girls, are searching and finding each other every day. Looking for passion, romance, a serious relationship, or even that special someone to start a family with? With [email protected], it’s all possible – you can find whatever you’re looking for! Find new friends, new relationships and new experiences on our site. Every day over a million guys and girls from different countries visit our site. Start chatting and find love right now – install the [email protected] Dating application! • You can search for your partner by different criteria: age, height, weight, relationship goals, and location. It’s easy, fast and free! • You can choose what you’re looking for: just chatting, dating, or finding a serious relationship and starting a family. It’s up to you! • We’ve made our application as user-friendly and straightforward as possible. 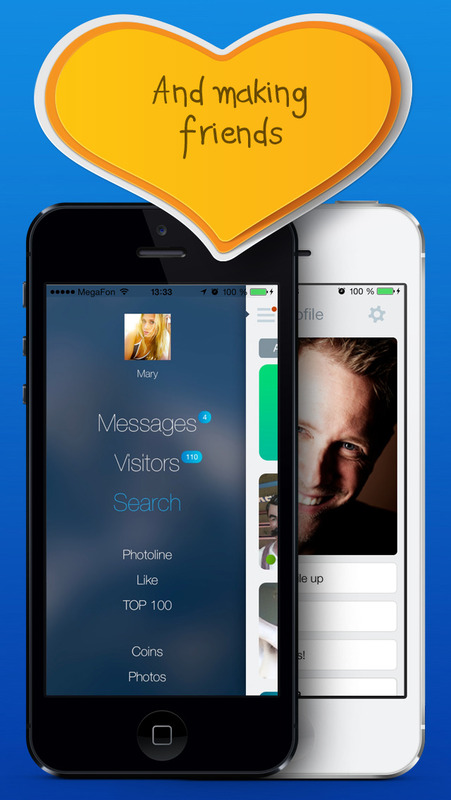 This application combines all the best dating app features and makes it easy for you to chat and meet new people. Passion, adventure and new people are waiting for you. Find love and see what destiny holds for you right now – just download the app and start searching. Remember, fortune favors the brave! Premium service – activate VIP status in the app. The service is available on subscription for 7, 30 or 90 days. The cost of subscription is $3.99, $9.99 or $19.99 accordingly. The subscription will be set up for your iTunes account after confirmation of purchase. You can manage your subscription or unsubscribe after purchasing by accessing your user account settings. The subscription will be automatically renewed until you unsubscribe. You can also purchase VIP status without an automatic subscription by paying for the service using your account in the app. You can top up your account by 7 coins for $9.99, 25 coins for $29.99 or 100 coins for $89.99.